There is still controversy about the gifted label. Yes, some believe that if gifted students know that they are gifted, they will become harmed, or lose interest in school, or develop a fixed mindset, or that an array of disastrous outcomes will befall them. Gifted labeling is once again under fire. Recent anecdotal accounts of students who claim that gifted labeling harmed their sense of self and/or thwarted their ambition have been circulated by math education professor Jo Boaler, who advocates for eliminating such labels. Boaler uses her platform as a Stanford professor to promote an emotionally appealing video with a compelling argument against labeling students as smart or gifted. 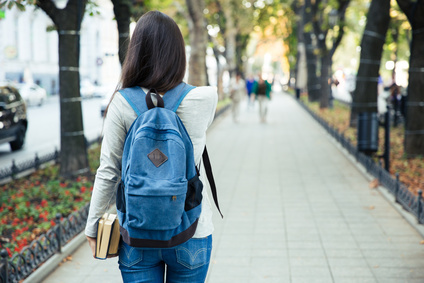 While these students' personal appeals are heartfelt, these few individuals are not necessarily representative of most gifted students, nor should their claims dictate policy. In the video, Boaler interviews young adults, who believe that awareness of their giftedness affected their motivation or self-esteem. She also interviews children, who point out how it's not fair that some kids are smart, or that it is upsetting when some kids are told they are gifted and others are not. Music swells in the background as these interviews are filmed, aimed to tug at your emotions. Who wouldn't feel for a tormented young adult, burdened by high expectations? Who wouldn't want to reassure a nine-year-old that everyone has the potential to grow and learn? Unfortunately, this heart-rending video overlooks research about gifted children and gifted education. It perpetuates stereotypes about gifted people, the gifted label, and the myth that everyone shares an equal amount of ability and potential. And although some gifted children may receive conflicting and distressing messages about their giftedness from parents, teachers, and peers, this should not indict the label itself. 1. Boaler uses her status as a Stanford math education professor to add authority to an opinion piece about the emotional well-being of gifted students, presumably a topic outside of her area of expertise. I don't doubt the sincerity of her concerns or her compassion for these students. But she is not in a position to diagnose the cause of their psychological distress; she only can speculate. In fact, other than assigning blame to their gifted designation, no other possible explanation for their unhappiness is considered. Did these students feel pressure from parents or teachers? Were they bullied or isolated from peers? Do they suffer from anxiety or perfectionism? Did they struggle with existential depression and feelings of alienation? Did they have a trauma history? The possibilities are endless. 2. Boaler's "sample size" of gifted students is quite small. There is no comparison group of well-adjusted young adults, commentary about findings from the literature, or alternative hypotheses about these students' distress. In other words, there is nothing consistent with commonly accepted scholarly or research practice. This is an opinion-based video that any marketing company could produce - yet it gains credibility because of her academic position. 3. If most of the young adults in the video are, in fact, Stanford students, they reflect a fairly unique and limited subgroup of gifted students. Stanford is one of the most highly selective colleges in terms of admissions standards, so these students are likely exceptionally gifted and/or extremely high achieving. Exceptionally gifted individuals stand out from their peers, regardless of their label, and may have heightened sensitivities, social/emotional struggles as a result of social differences, and a difficult experience in traditional schools. High achieving students tend to be driven, focused, and sometimes perfectionistic, and may dread the possibility of failure. Taking what these (possibly) troubled young adults claim as the root cause of their struggles (being labeled as smart or gifted) ignores other possible underlying factors that may have contributed to their distress. 4. Boaler's premise ignores the fact that these highly intelligent individuals would have been labeled as smart or gifted even if they were never formally tested. Their curiosity, creativity, complexity, and accelerated pace of learning most likely set them apart from peers. They were (and are) different. Their differences may have fueled their distress - blaming the label, and assuming their lives would have been fine without it - is simplistic and unrealistic. 5. These young adults (again, presumably Stanford students) would be considered successful by most standards. Students who gain admission to Stanford typically demonstrate enormous drive and exceptional achievement throughout high school - hardly the picture of those who have been hobbled and disabled by an awareness of their talents. To assume otherwise is disingenuous. This does negate the very real underlying internal struggles they may experience, such as self-doubt, ambivalence, perfectionism, insecurity or anxiety. But in spite of any possible distress, they have demonstrated resilience and the ability to achieve recognized markers of success. 6. The claim that these students received "special" treatment in their early school years because of the gifted label may have been valid for some; however, we know that this is not true for most gifted students. When their intelligence is denied, gifted children will suffer. Many gifted students, especially those from minority and impoverished backgrounds, are underidentified, and most gifted students fail to receive anything close to the education they need. Boaler's criticism of gifted labeling is nothing new. Critiques of gifted labeling, gifted education and the negative media portrayal of high achieving students appear with some regularity. While some have used Boaler's claims to support arguments against identifying giftedness, others, such as this writer, this writer, and this writer have challenged her views. And if awareness of giftedness were so detrimental to career and happiness, then how can we account for findings from the longitudinal study of mathematically precocious youth who achieved professional success as adults? Clearly, awareness of their talents and innate abilities at a young age did not seem to limit their career trajectory or self-reports of personal satisfaction. "...it is necessary to provide these students with 'differentiated instruction in an engaging mathematical learning environment that ignites and enhances their mathematical passions and challenges them to make continuing progress throughout their K-16 schooling and beyond.' Research has shown that this is not only important for students with mathematical promise but for all students with exceptional promise." "Refraining from offering suitable curricular challenges to students who are ready for them, whether called gifted, talented, exceptionally promising, advanced, or something else because other students are not ready for or do not have an interest in them is not ethically justifiable." Gifted children know they are different; offering them a clear, age-appropriate explanation that helps them understand giftedness is essential and validates what they know to be true. Problems arise when parents/teachers/society place demands or an inappropriate personal response (e.g.,"I'm so thrilled that you're gifted"), or unreasonable expectations on these children. Problems develop when schools fail to challenge them. Problems occur when they are not permitted to learn alongside like-minded peers and feel like outliers and misfits. Labels should never imply limits on personal and academic growth, nor any assumption that someone is better than another. It is up to the grown-ups in charge to ensure that children know this. But denying reality in the service of equity is false, serves no one, and as noted above, "is not ethically justifiable." Let's stop pretending every child is the same, and instead, focus on understanding and providing educational and social/emotional support tailored to each child's specific needs. An important response. "Boo" to all educators who deny the science - especially educators who are delivering graduate level curriculum. Thank you, Jeanne. I appreciate your comments. Dr. Post, I wrote a similar piece, expressing similar concerns, on my blog last November in reaction to Dr. Boaler's video promotion about gifted labels. Below is the link if you have not seen it. In my opinion, you have many valid points. Thank you. Jlc, Thank you for your comments. I can't access your link. But if your link is from apples in my orchard, I am pretty sure that I linked to the article you are referring to above in my post under the section "nothing new." You and other writers have written some excellent rebuttals to this video. I am sure I have missed others, though. Anonymous, Thank you for your feedback and helpful links! I am putting together a blog post about growth mindset at this very moment, so these are helpful articles. I agree with you completely, and particularly like the last link which contrasts Dweck and Silverman's viewpoints. It is striking how Carol Dweck points out how Mozart needed to practice to improve. Well, of course! That certainly does not discount his brilliance and talent! I think that is partly where the growth mindset proponents get it wrong - trying to completely discount ability. However, Dweck has recently tried to temper her view and has pointed out how it has been misunderstood and viewed as a trait-based concept rather than situation specific. Either way, growth mindset has taken hold and is quite a fad in many school systems. Children are often blamed for not having a growth mindset rather than schools looking at how they are not delivering the education they need. So good to read your article and the words of support in the feedback. I find it interesting that we can say "special" as in special education, but not "gifted." Guess there can be only one kind of special. Labels have their purpose, but do not define the person--ever. Anonymous, Thank you for your comments! Dr Rosemary Cathcart, director, REACH Education, New Zealand. This is the most sensible article I have read on this subject. Thank you for making such a valuable contribution to our ongoing discussion around this topic. With your permission I would like to share it with teachers in this country. May I? (reacheducation@xtra.co.nz). Incidentally, it's a topic I too wrote about in "The conundrums of success", a keynote I did for Australia, now on the resources page on our website, www.giftedreach.com. The more we all contribute to putting forward both the research-based criticisms and positive alternatives to this damaging approach from Jo Boaler, the better chance we have of supporting these young people in coming to terms with their own identity and growing into mature, effective people. Rosemary, Thank you for your kind words. Yes, of course I would be more than happy to have you share this article with your colleagues. I am glad to hear that you are doing similar advocacy on the other side of the globe, and look forward to reading your keynote on the site you mentioned. I hope others who read this will look it up also. Michael, Thank you so much for sharing this article here. It makes sense that the parents you studied were reluctant to tell others that their children were gifted. It is so hard for many parents to express information - both positive and negative - with others due to fear that they will sound like they are bragging. I appreciate your addition to the discussion with this research-based information that fits so many parents' experience. As a high school teacher....I know many educators deny the existence of gifted children/people out of fear. It is very sad and that's why my journey of advocating for my highly gifted daughter is frustrating. Cherry, Thanks for sharing about your experience. Good luck with your daughter.